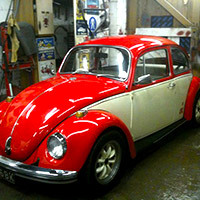 From a dented wing, to a full respray inside and out, we do all the repairs, prep, and paintwork in house. 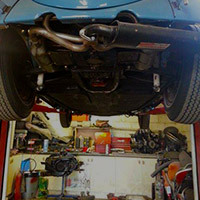 We can undertake all repairs associated with any MOT failure and more. 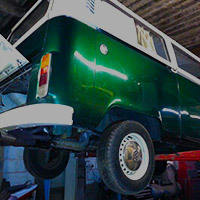 We use a respected local MOT station who are familiar with the joys of owning such unique vehicles. We can patch small holes or full on flinstone examples. Whole floor panels or heater channels aren't a problem either. Do your indicators flash randomly when you press your brakes? or does your horn have a mind of its own? 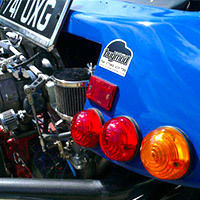 We've had the same problems on our own cars so can generally find the problem quickly. 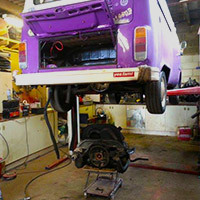 From a simple engine service to a full rebuild, performance or stock. 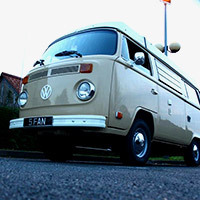 Flat spots or rough idling are common, and can usually be fixed with a bit of knowhow and a good ear for that perfect engine tone. 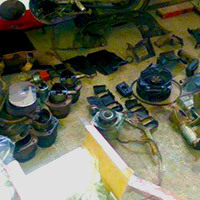 Brakes, Wheel Bearings, Steering, Suspension and everything in between, Nothing is too greasy or rusty for us to sort. Its a common question we get asked........How low can you go? Answer...... As low as you want! Just want to drop the nose? or scrape cats eyes from the road?